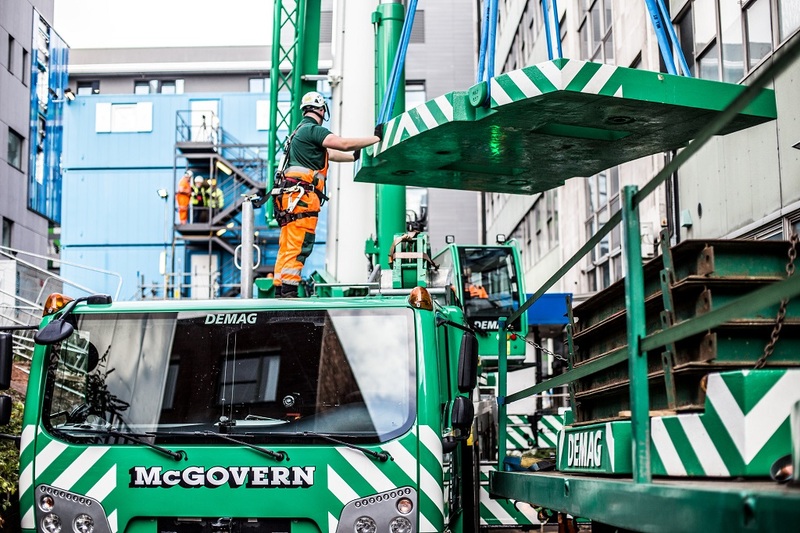 McGovern Crane Hire, located in Derbyshire in central England, has successfully raised a 21-tonne generator on the grounds of the Birmingham Children’s Hospital. This lifting presented a major challenge. The team could have used a large crane with a minimum lifting capacity of 350 to 500 tonnes but the extremely tight space conditions, an aisle of the hospital, made impossible the use of a crane with sufficient performance for a lifting of this weight. The solution found by the Mc Govern teams was using a Demag AC 220-5 all-terrain crane that was compact enough to fit in the driveway, yet with the innovative IC-1Plus control system, it offered sufficient lifting power with asymmetrically configured outriggers. In order to lift the load with its weight of 22 tonnes, including hook block and lifting tackle, the AC 220-5 was equipped with a counterweight of 51 tonnes. The outriggers were set to meet the needs of the job site. Thus, it was possible to lift the generator at a boom length of 33.3 meters and a radius of 15.0 meters off the lowbed trailer in the driveway to a height of 10.0 meters. It was then lifted over adjacent buildings by slewing the crane directly over the front right rigger which was fully retracted, the crane continued slewing right on the right until over the back right rigger which was extended to three quarters and easily lowered down at the desired location with a final radius of 19.7 meters. explains Project Manager Kieran McGovern. 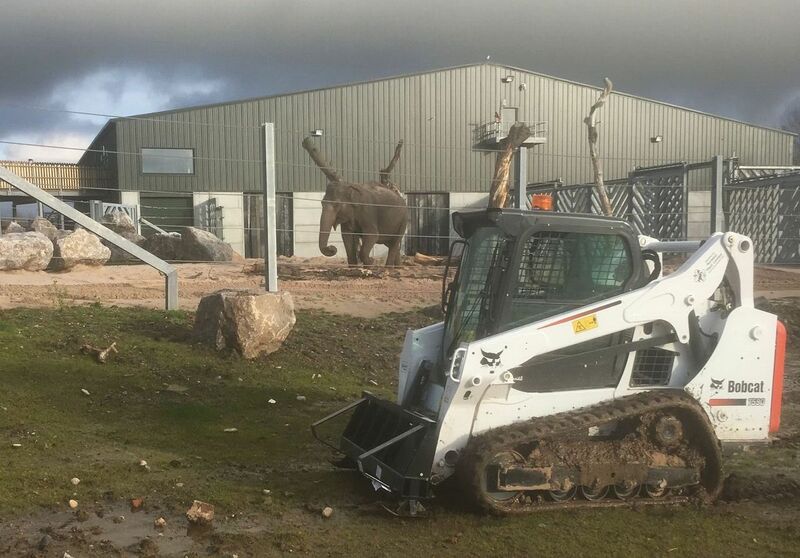 The Blackpool Zoo, located in the seaside resort of Blackpool in the north of England, has purchased a Bobcat T590 compact track loader for its new Project Elephant, a state-of-the-art pavilion that has been built to house a breeding herd of Asian Elephants. Thanks to the low ground pressure and stability of the tracked undercarriage, the new T590 has proved to be the right machine for working on the deep fine sand that covers a large part of the floor surface of the new elephant enclosure. “The machine will be used for hay and straw unloading, feed deliveries and moving animal crates, grounds work in the animal paddocks and clearing out animal bedding as well as maintenance work around the Zoo ground,” says Zoo’s Head Keeper, Luke Minns. ALE has added three new Krøll K1650 L tower cranes to their global fleet to save time and money for various clients in the wind sector. 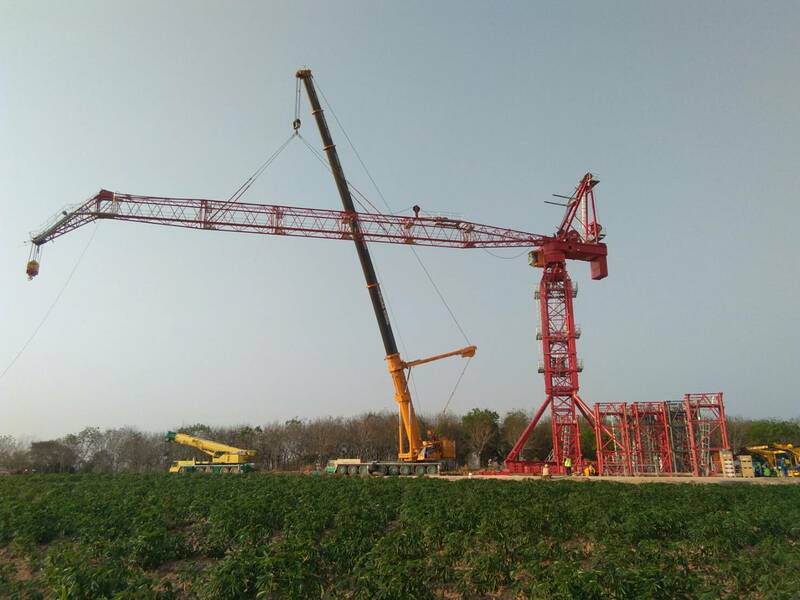 This type of crane has lifting capabilities that are destined for the wind energy market, with increased lifting height, and the ability to work at high wind speeds and with uneven or small hardstands. 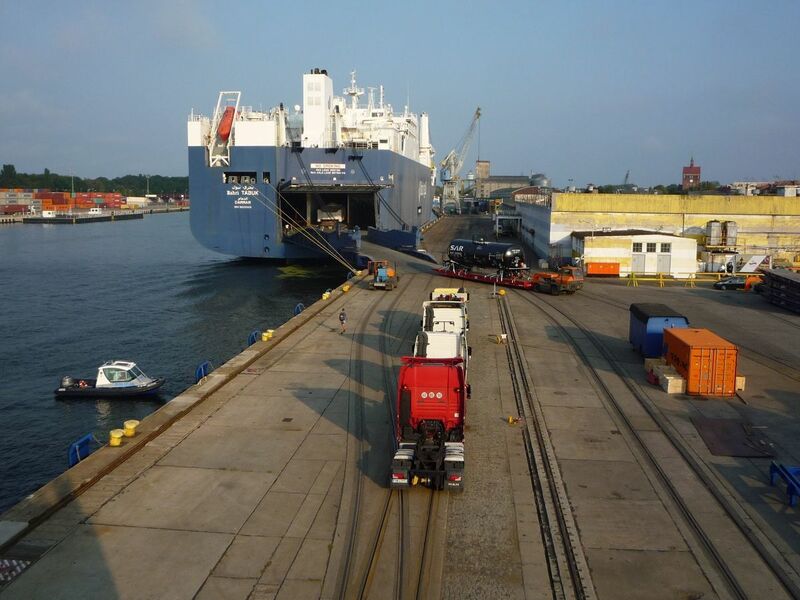 The compactness of this crane makes possible to reduce the civil works and thus the costs. Its low counterweight, increased visibility, and quick assembly functionally optimises overall project efficiency. With its 70 m short boom, the up and down area can be significantly shortened compared to equivalent lattice boom crane. This, combined with the very short minimum boom radius, reduces the amount of terrain impacted by the crane, potentially reducing costs and environmental impact. “We work closely with our clients to understand potential challenges in the future, such as increased hub heights or heavier components, and where there is the opportunity to make time and cost savings. The tower crane solution has lifting capabilities like no other on the market, and by investing in these cranes, it represents a further ground-breaking advancement in our step to become world leaders in the renewable wind industry.” explains Danilo Viappiani, Regional Engineering Manager. JCB launches new range of crawler excavators. 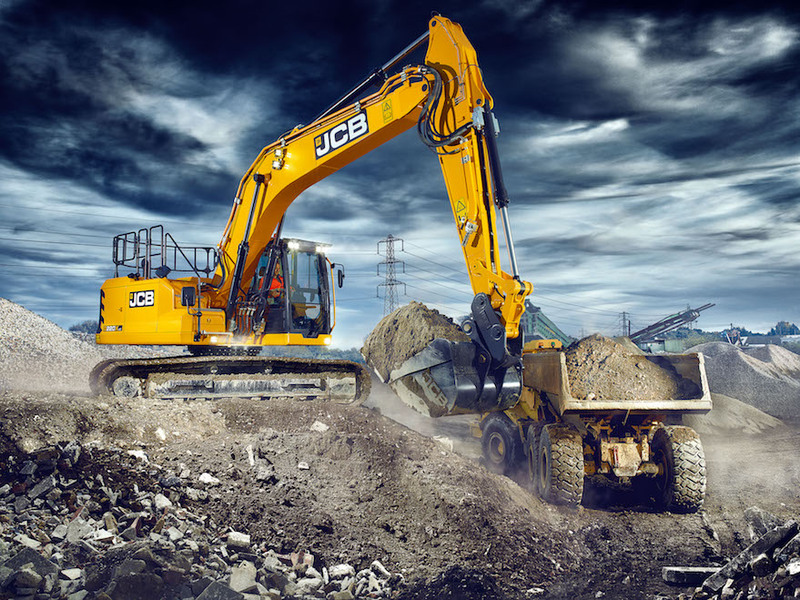 JCB has unveiled its new range of JCB 220X series crawler excavators. 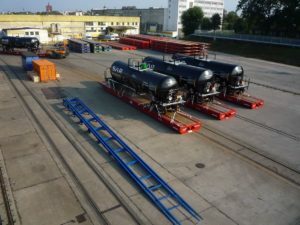 The first models of its new generation of tracked machines dedicated for the global construction market. This range, tough appearance with a cab 15% larger than oldest, provides better sound isolation with built-in ROPS. The interface is also more intuitive with a 7 ” tilt screen with features and menus accessible by means of an automotive-type rotary controller. The boom has also been refocused to provide maximum durability and reliability in operation.